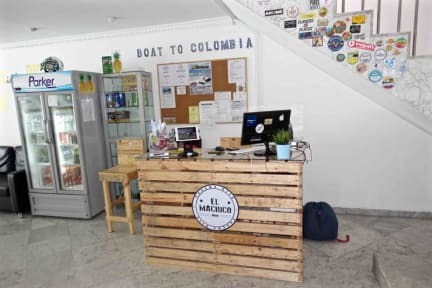 El Machico Hostel i Panama City, Panama: Reservér nu! This is a nice hostel with some of the most friendly and helpful staff we've ever met. One of us got sick and the other lost her luggage on the way from Europe. Every day the guys ask how one was doing, gave good medical advices, helped with tracking the luggage and even shipped it to us when it finally arrived! The rooms were very clean and comfortable - Big beds as well. Good breakfast included and a sufficient kitchen if you want to cook your self. I had a good time at this hostel. It has a good location and nice facilities. The beds are good but it can get very cold in the rooms at night with the air condition. They keep the place very clean and the bathrooms are cleaned more than once a day, which is really nice.